CARLOS JAVIER MOLINA NAVARRO: founding partner of Athlanta Asset Management. I started my professional career in the communication field, studied journalism in Madrid at Universidad Complutense of Madrid. I worked a little bit in the soccer world, covering teams such as the Real Madrid, Atletico de Madrid and the Spanish Team, in those years, the 80s’, and even today, the big soccer clubs are in the hands of important construction companies, in many cases companies that had started from scratch, natural intelligences, many times even with no higher education shown, but with a big instinct for business and a lot of experience in the streets. The inertia of their observation is what made the call and started my vocation and inexorably took me into the real-estate sector in a time of strength of the sector, a time that coincided with the entrance of Spain in the EU. From that moment on, as a good offspring of a family of entrepreneurs, I devote myself with passion and intensity in the world of construction. With instinct and a lot of experience in the streets, I remember as an anecdote the times when there was no Internet and I used to wake up at 5 am and go to la Puerta del Sol and start calling a lot of different places in order to get the best pieces, I created two refurbishment and redevelopment companies, in which I eventually had more than one hundred employees, and specially when I worked trading ancient rent buildings located in Madrid, where I have been part of over 500 transcations, while in those ages they only used to buy 3, but after that I bought and arranged, mostly in Castilla la Mancha, a land for over 3.000 houses. I survived to two economic crises that took place in Spain in 1994 and 2007, and with persistence, experience, professionalism and the same passion from the very beginning I managed to reinvent myself. With almost 35 years in the same sector I specialized in the trade of impaired assets, awarded by the banking sector, today in the hands of the international investments funds, scraped properties, assets on legal problems, I am where nobody else is. That is where I can apply all my values, being the fastest, the most constant, the most persistent, sometimes it takes months, even years to get that piece that you wanted, just as good hunters I am always waiting for the perfect time. In this new stage that I have opened I have created Athlanta with a lot of passion and hope from the very beginning, just as I used to follow the first soccer interviews right next to the field, and with the main focus on debt, in a triangle which’s principal vertex is located in the investment funds, with whom I uphold close relationships and with whom I have already closed some operations and I still have a lot more. On the second vertex of the triangle I have an incredible team of professionals in the debt management field, that come from different areas some of them from the banking sector, and with a wide experience. Last but not least, in the third vertex I have the invertors, who are lifelong buyers that have placed their trust in my and my work a professional project combined to a unbeatable team by the passion to a comun aim, the real- estate sector. ÁNGEL MANUEL CARDO HERRERO: Funding Partner of Eurolegis. 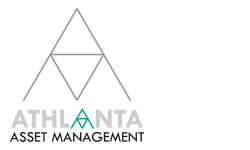 Athlanta’s legal adviser is the legal firm Eurolegis, founded in 1989 and composed of professionals in the bank sector and specialized in the return of bank debts, insolvency administration, credits portfolios management and legal cleansing. With an experience superior than 35 years Angel Manuel Cardo Herrero has occupied leadership positions in the legal real estate, mortgage, and urban sector. He worked for the old BBV were he operated, among other things, as a Director of Financial Recoveries and CEO of the legal aspects of Credit Agricole, as well as subsequently in BBVA where he was Manager of the Legal Real Estate Servicies, Director of the Legal Counseling of Recoveries and of the Consular Center, coordinating the professionals network nationally and taking part in the steering committees of different business units. In addition, through Consulting Abogados, he manages a team of lawyers with more than 10 years of experience and deployed all over Spain. Eurolegis manages post-due debt portfolios in a extrajudicial and judicial way, they document all their assets before the awarding, manage the cleansing of their allocated assets setting them into sale, it offers you the possibility of acquiring a record with no paperwork needed, it offers you short term results with just one interlocutor and with a team focused on the control and follow up of the portfolio at all times, all of this under a stringent protocol defined for all the team. Raquel Fernández is Angel’s associate from the very beginning in Eurolegis, she is an expert in the commercial and civil sphere and, furthermore, a consular administrator, she is endorsed by her acumen and her with experience. Experience is a major and Angel and his team have it, he has sat on the table with some of the principal promoters of this country, has performed some of the most important real estate operations of the past years, has faced legal issues of all kinds and in every range: contentious, civil, criminal, labour, etc. now form his office in Street Princesa and with his talent and well done lectures in his favorite field which is debt and management.